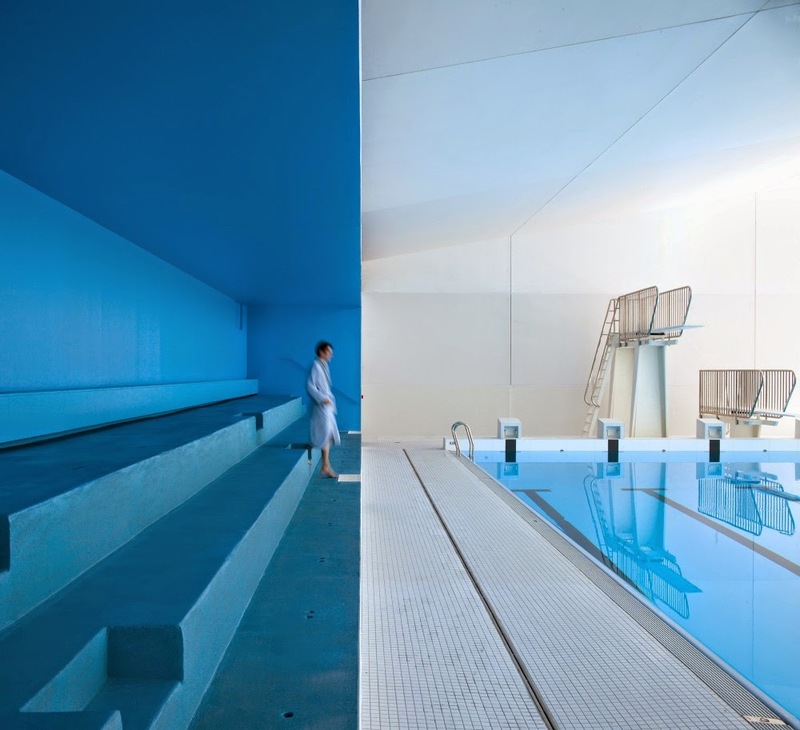 Strasbourg based studio Dominique Coulon & associés redeveloped and extended a swimming pool in the Paris suburb of Bagneux, France, transforming the building’s image. Simplicity, harmonious dialogue of the original and the new part, play of light and curves create a timeless space for peace of mind and relaxation. 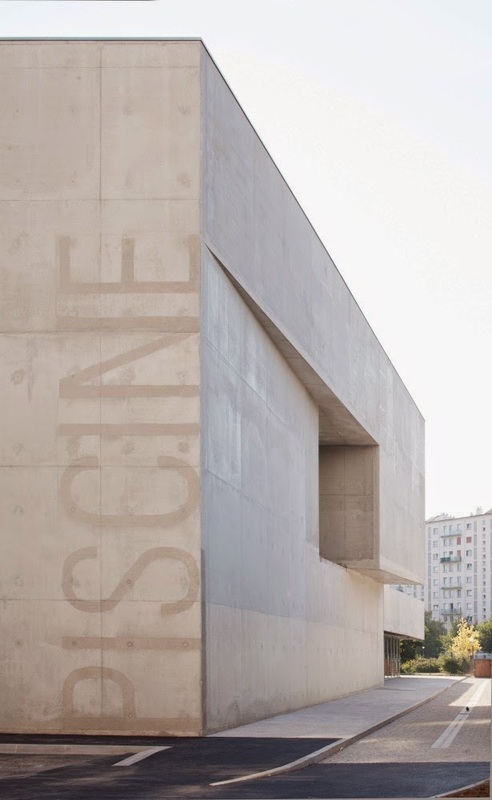 The purpose of our project, in an urban redevelopment area, is to transform the building’s image. 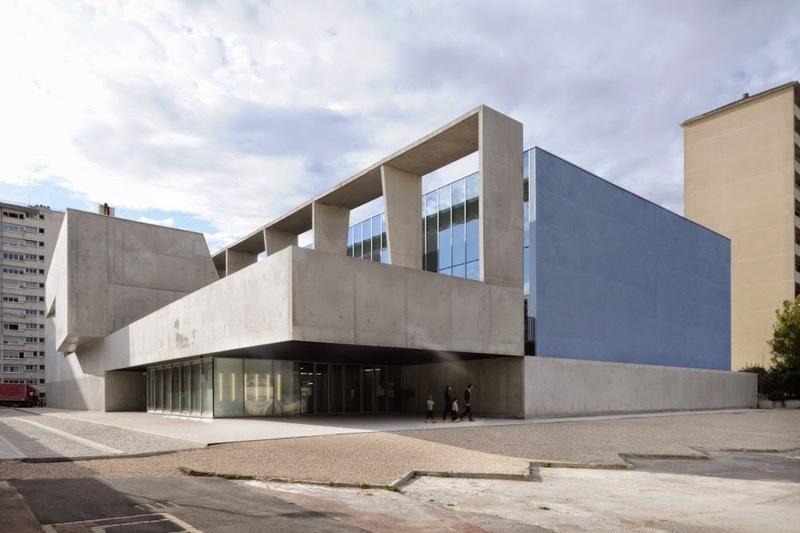 The refurbishment and extension form a harmonious mineral body. The extension is in light grey concrete, and the original building, with external insulation, is faced with cement in the same shade. This minerality is continued through to the hall floor, in Lucerne quartzite laid as opus incertum. The scale of the new building, reinforced in this way, displays its strong urban presence. 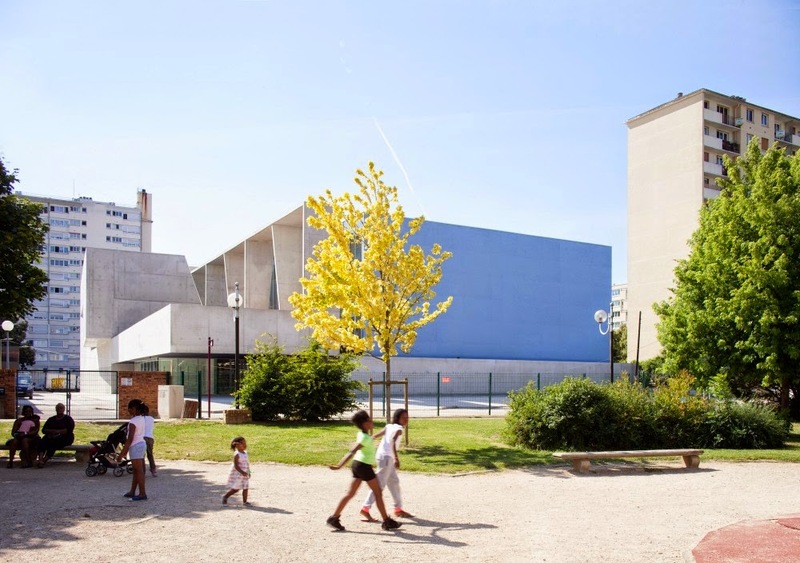 Its large cantilever and forecourt provide a generous amount of public space. 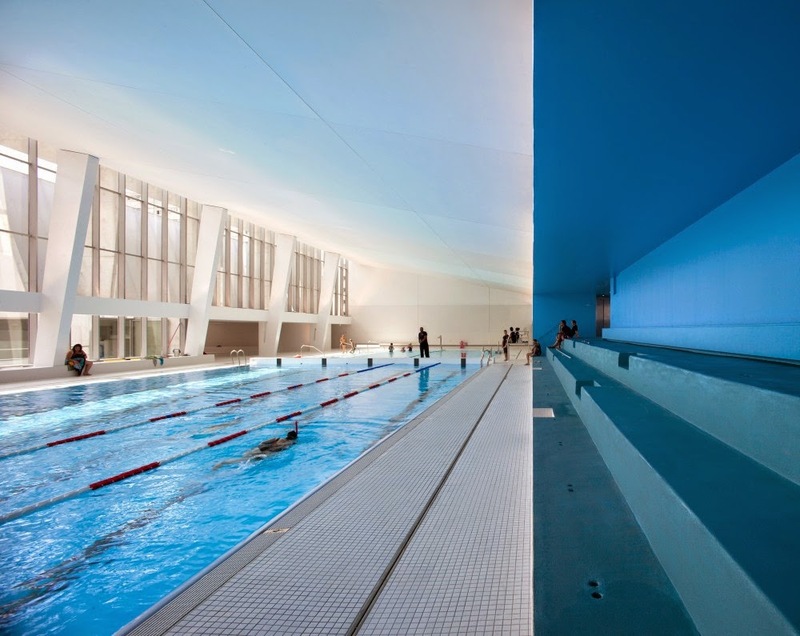 A play of light recalls the reflection in the water on the east facade. The exterior signing is on the same scale as the building, and the archway serves as a giant sun-break. 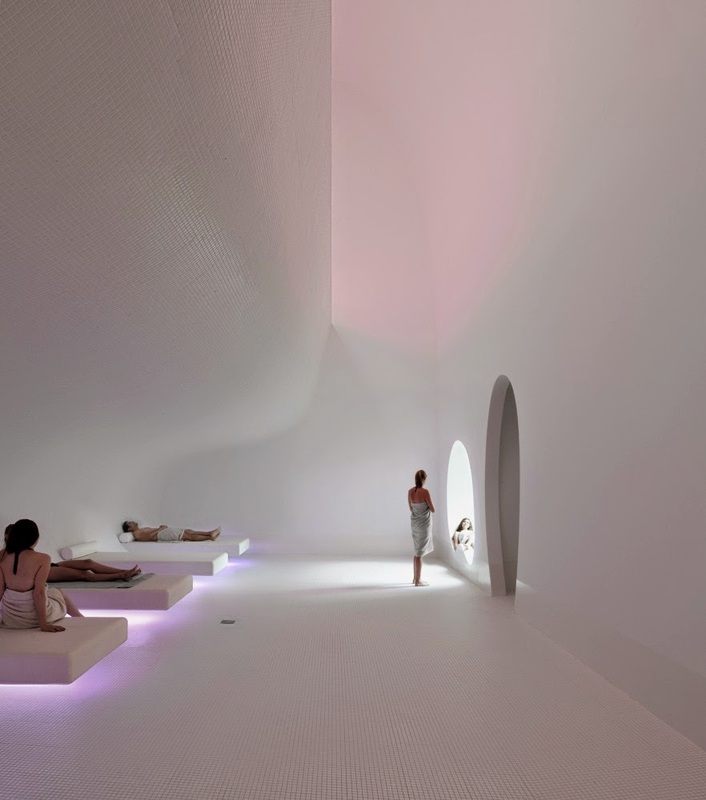 The project creates a break in time, with unforgettable ambiances, soft lighting, fluid architectural promenades, and curves replacing right-angles. 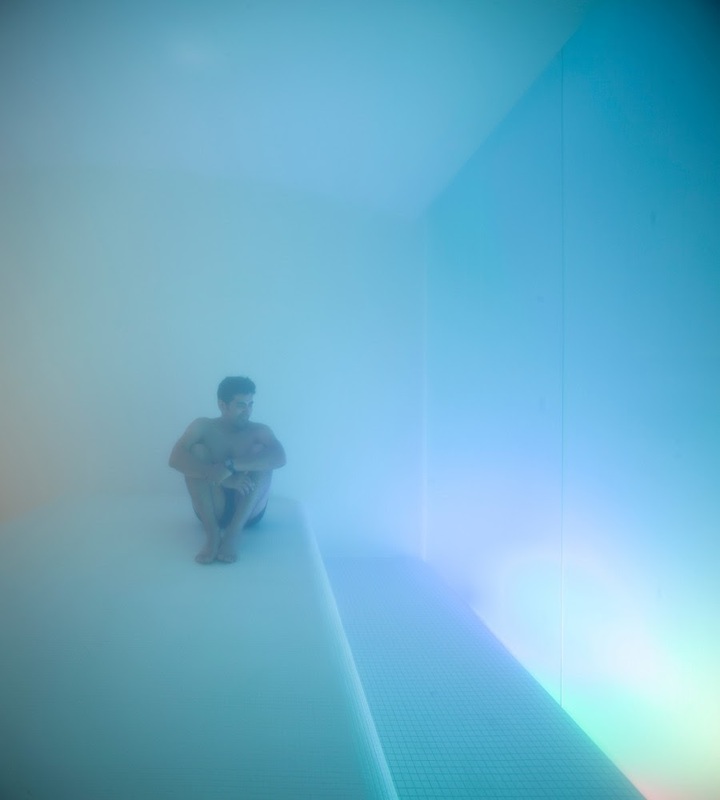 The distribution area is flooded with unusual blue-tinged aquatic light, provided by a horizontal porthole in the bottom of the children’s paddling area. The light changes with the movement of the water. 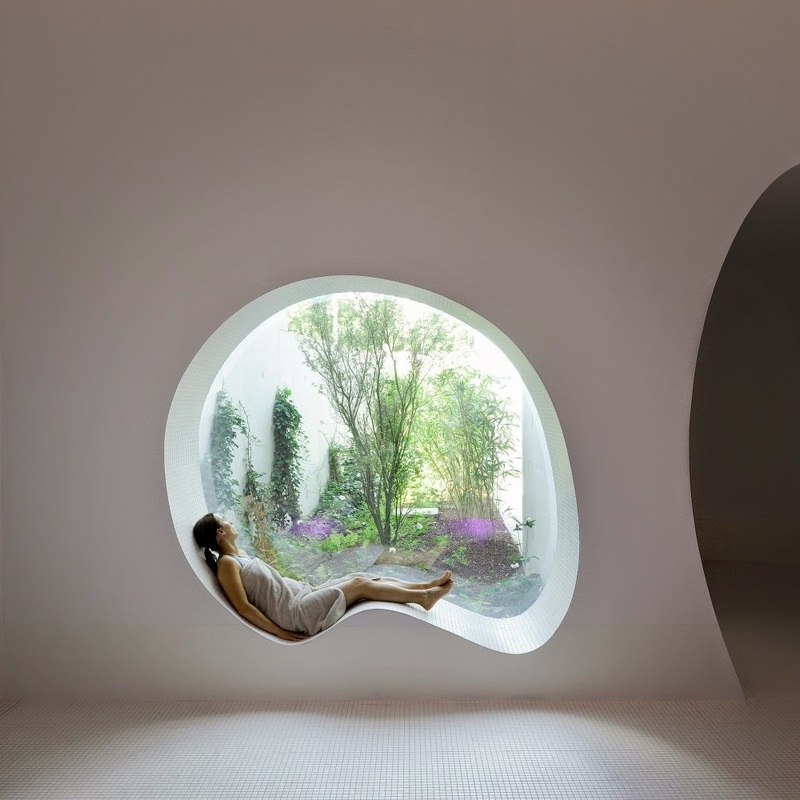 The space of the double-height relaxation area is encompassed by curved shapes; an attractive rounded window frames the view of the garden. 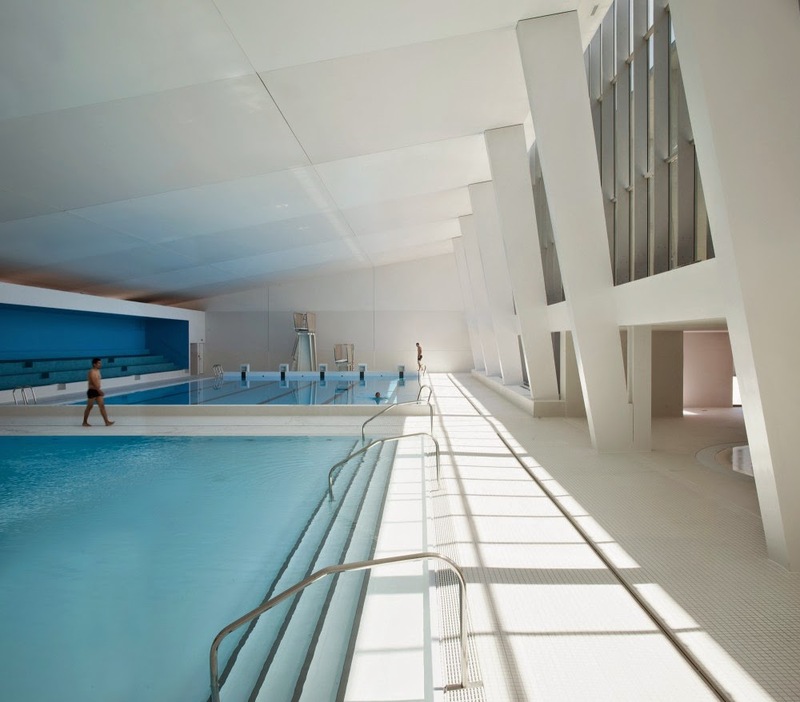 The architecture of the existing large area (two pools) is conserved. The incline of the structure is emphasised; the subtle play of oblique lines also adds a contemporary touch. The paddling pool offers children the feeling of being wrapped in a cocoon. The area is curved, which reduces sound reverberation naturally. 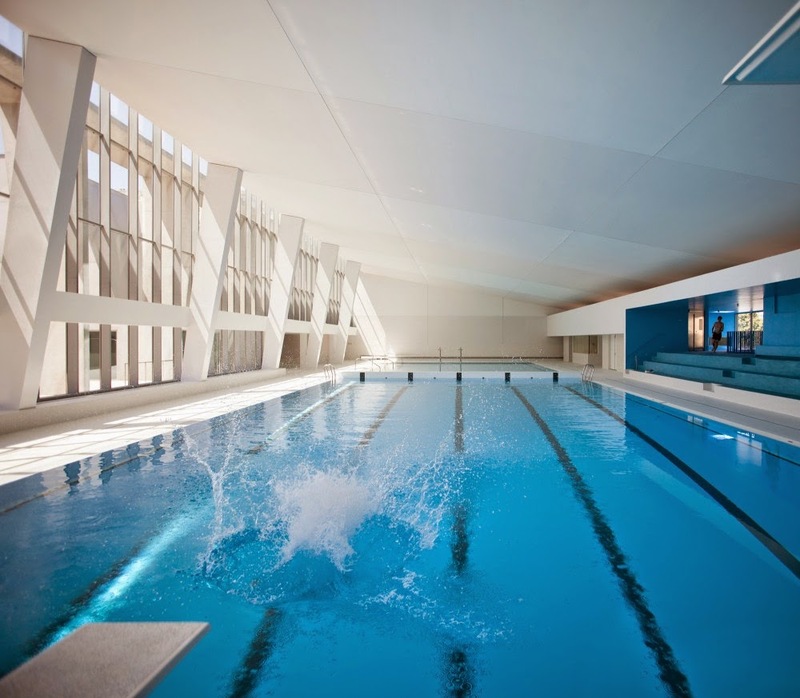 The tall bay window floods the small round pool with sunlight. 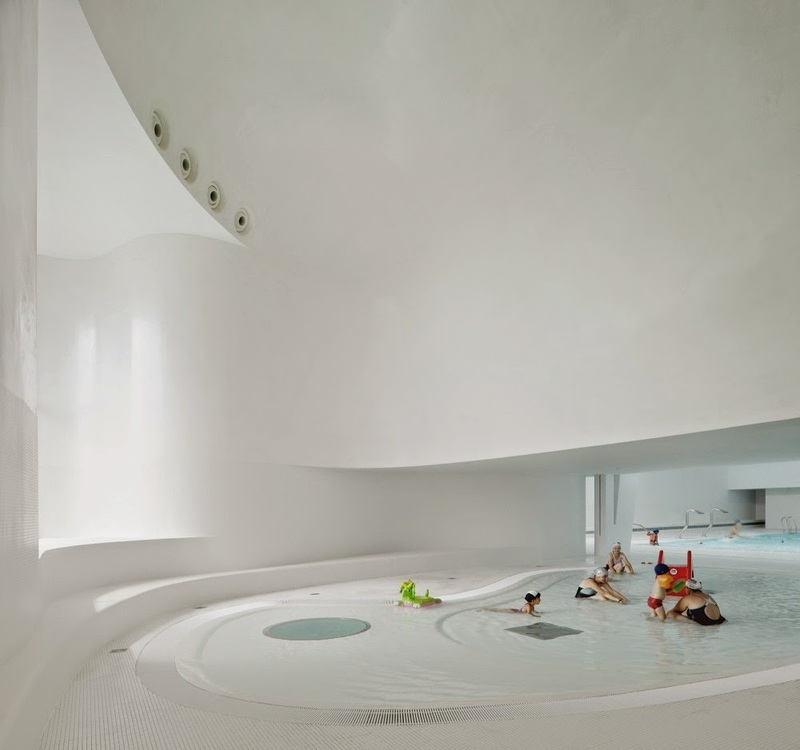 The place is designed to appeal to children’s imagination. 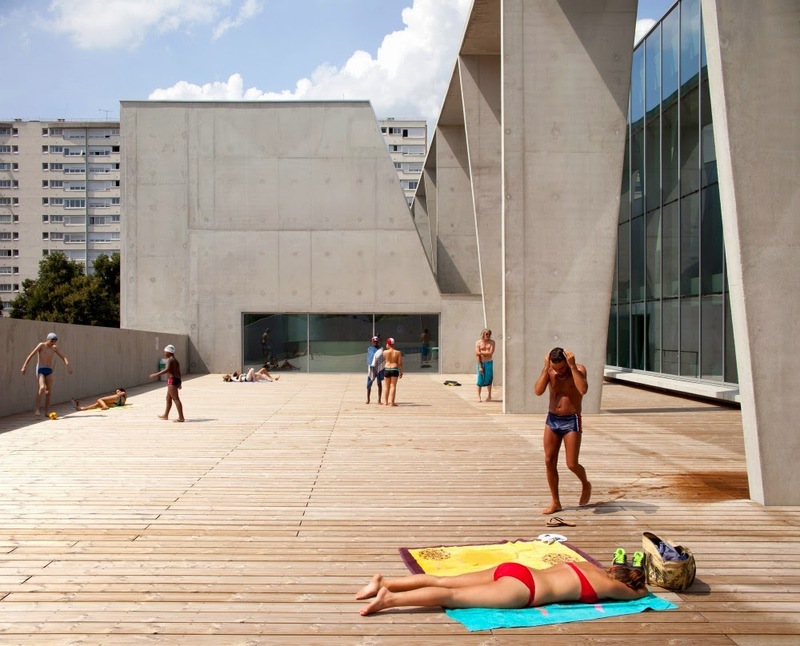 The large terrace is treated like a beach, with a tall concrete safety guard providing bathers with privacy. This is a place for discovery, in harmony with the ergonomics of the body.